Thief. Goddess. Headmistress. Queen. The X-Man called Storm has always defied a single title. And her desire to better the world has never been limited to only her own kind. On an ongoing mission to foster goodwill, and safeguard both mankind and mutants, Ororo Munroe will travel the globe - confronting villains, gods, monsters and everything in between. She will overthrow tyrants, quell tsunamis and strive to see her dream for the world realized. She is Storm, a hero like no other - and the skies will tremble at the sight of their namesake. But now, Storm must handle the fallout caused by familiar faces from her past. Why is Callisto kidnapping wayward youths from the streets of New York? Will Storm's romance with Forge be reignited? And can Yukio help Storm deal with the death of Wolverine? 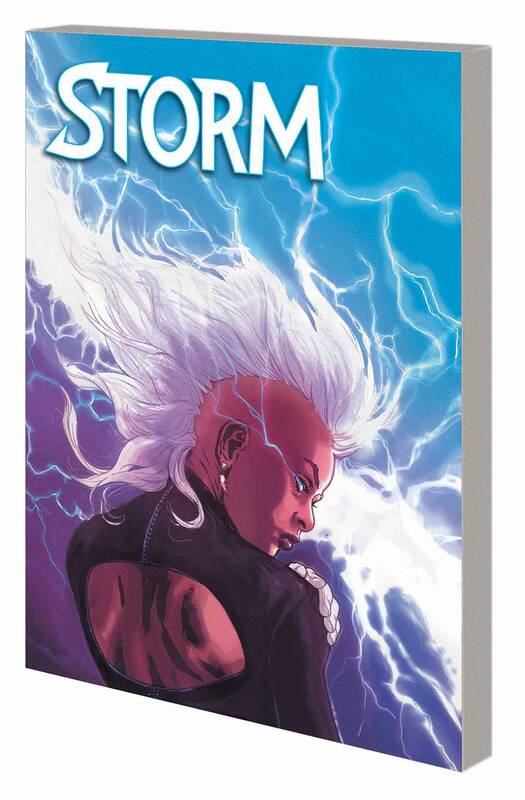 Collecting STORM (2014) #1-5.